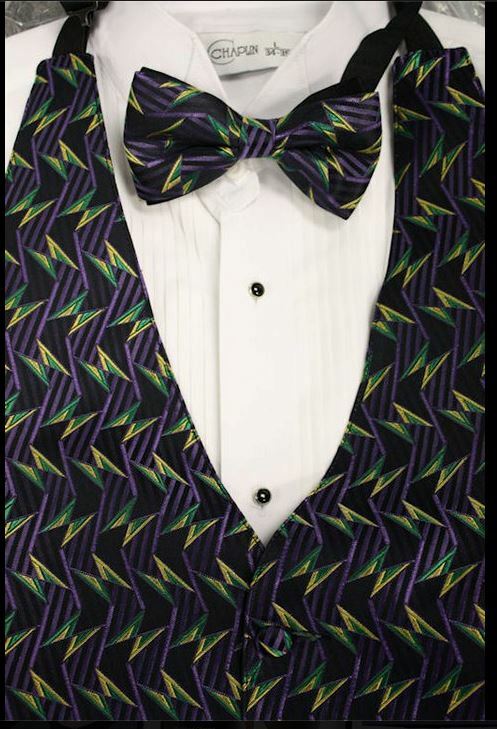 Just in new Mardi Gras Vest and Tie set. This entry was posted in Tuxedos and tagged Mardi Gras, Sunglasses. Bookmark the permalink.